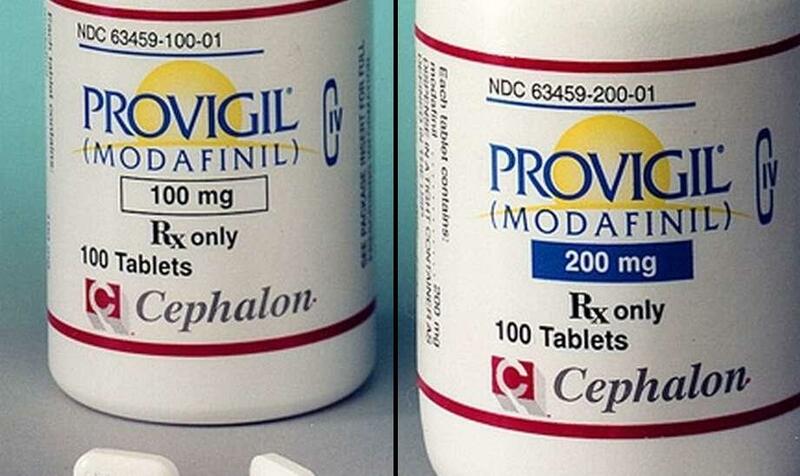 In order to successfully and efficiently compare these two medications, Modalert and Modafinil (Modvigil), the patenting & marketing of these medications, and what happens when patents expire must be understood. Similarities between both drugs will be discussed, as well as the slight variations that cause an individual to favor one or the other as their anti-narcoleptic drug of choice. When a medication is developed, the pharmaceutical company developing it patents the generic drug and brand name the drug is intended to be sold as. For example, when Pfizer developed Sildenafil, it was patented as both Sildenafil and as Viagra, the brand name under which they were going to sell it. The same happened with Modafinil; the French company that developed the drug patented it and also patented the name under which it would be sold it France, Modiadol. When this happens, there are two ways in which other manufacturers can manufacture the same drug. The first option is to buy the patent and market the drug under a different name, which is what happened with Modafinil in the US where it hit the market in 1998 as Provigil, which is still the brand name there. The other way is to wait for the patent to expire and then to either manufacture it as a generic Modafinil or under an alternative brand name. In the second case, the original manufacturer still gets a percentage. Sun Pharmaceuticals, one of the largest global pharmaceutical companies in India purchased the right to produce their own brand of Modafinil and opted for the brand name Modalert. 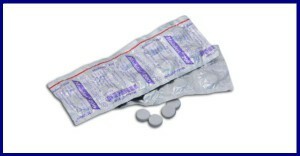 Another company in India also sells Modafinil, the same drug but under the generic name Modafinil and Modvigil. Now that we have covered the legal and nomenclature issues, it is time for us to take a look at these two medications in more detail. 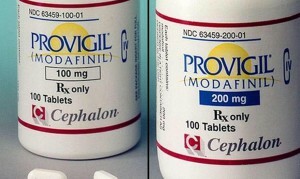 Modalert and Modafinil (Modvigil) are drugs that are used to treat narcolepsy, a condition that entails various sleep issues, such as insomnia and more pronouncedly excessive daytime sleepiness. Narcolepsy is a neurological disorder which is chronic in nature, caused by an intricate combination of genetic predisposition, neurological abnormalities and (as was recently discovered by Chinese researchers) certain triggers which are most commonly viral infections like common influenza, found often to have triggered this condition. Modalert and Modafinil (Modvigil) are, however, not only used to help with narcolepsy and can be used to treat other conditions that are causing excessive daytime sleepiness (EDS). These include shift work sleep disorder and chronic obstructive sleep apnea just to name a few. It is essential that the condition causes sleepiness as these drugs are wakefulness promoting drugs, meaning that they help mitigate sleepiness so it is easier for the patient stay awake. In the case of narcolepsy which is still the most common use for Modalert and Modvigil, other symptoms are present as well, such as hypnagogic hallucinations and sleep paralysis, both of which occur as the person is falling asleep. Since the use of these drugs prevents the person from falling asleep often during the day, the occurrences of these two symptoms are reduced as well. It is essential to remember is that these anti narcoleptic drugs are not cures for either narcolepsy or any of the other conditions, but rather, are helpful because they deal with the most pronounced and detrimental of the symptoms, the excessive sleepiness. These two drugs are also very popular due to the fact that they are much safer than anything that was used before them or that is still used today to promote wakefulness. There are other generics available on the market and one can compare alertec vs modalert vs modapro made by Teva, SunPharma and Cipla accordingly. Among the various psychostimulants that can be used to battle fatigue and excessive sleepiness, the most famous and popular ones (after the two drugs we are writing about here) are methamphetamines and amphetamines. These stimulants, as well as all other stimulants are very unsafe due to their likelihood of causing dependency after a while, making it very difficult to stop using them if this becomes a necessity. Also, they come with a wide array of side effects and other dangers. On the other hand, Modafinil (Modvigil) and Modalert are much safer as they are less likely to cause any side effects and because they cannot cause dependency. Now that we have covered the basic similarities between these two drugs, we also feel that we should say where they differ. The main difference and one of the least significant ones is that Modalert is somewhat more effective than Modvigil, which is generic Modafinil and therefore less potent. When we talk about what is better comparing Provigil vs Modalert vs Modavigil we actually discuss the same drug. However it is estimated that Modalert is 10% to 15% more effective than Modafinil (Modvigil) and that is the main reason why people buy Modalert more often. Modvigil is somewhat cheaper as is always the case with generic drugs, but, simply, you get a smaller amount of the drug with reduced efficacy which is clearly not worth the saving. In short, if you want something that will truly help you with your narcolepsy or any other narcoleptic condition, order Modalert. When you are buying Modalert, it is essential that you find a reputable online pharmacy as the drug is not available under this name in the west. Of course, it is much cheaper than western alternatives and brands and it is basically the same drug, which cannot be said for Modafinil (Modvigil), which is, as we have pointed out, less effective. However, if you want the same effects for a lower price, then order Modalert online and get the best possible price to effectiveness ratio that you can get. On top of all that, you are having it delivered to your doorstep which definitely beats driving to a pharmacy.